Premium partial mash craft beer-making kit. Makes 18.9 litres. Spicy, chocolaty with a distinctive dark malt and roasted grain flavor, with a slight sweetness. Spicy, chocolaty with a distinctive dark malt and roasted grain flavor, with a slight sweetness. This well-hopped ale will be a pleasure to drink! Do you want to have some beer-making fun? Do you want to make some great beer? Then you have to try one of our Barking Kettle Craft Beer Kits™ We use quality ingredients including specialty roasted malts, real hops and 100% pure malt extract to deliver the ultimate beer kit. 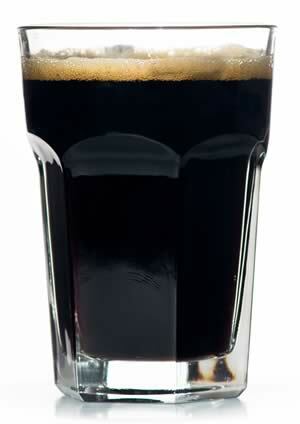 Make your own great-tasting craft beer right in your kitchen. No special equipment required. All you need is your regular brewing equipment, a large boiling pot (18 litres or better), and a thermometer capable of reading boiling temperatures (100° Celsius). Get out the brew pot. Put on your safety glasses. Your mad scientist alter ego has some experimenting to do! 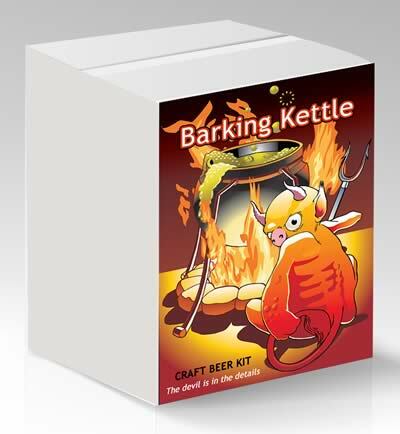 What is a Barking Kettle Craft Beer Kit? Our Barking Kettle Craft Beer Kits have been designed by our avid brewing staff who have many years experience in all-grain brewing. Our intention is to offer any brewer a chance to craft something unique without having to invest in special equipment and the time required to make all-grain beer. We use quality ingredients including crushed grains, fresh hops pellets and 100% pure malt extract. Each kit also comes with special flavourings or ingredients which give it an exciting and unique flavour. We've tried to make everything as easy and efficient as possible. Our specialty grains are professionally cracked and contained in a cheesecloth steeping bag. Just remove the bag form it's outside plastic container and start steeping. Our easy-to-follow instructions are simple and will have you making Craft Beer that you will be proud to serve.